One of our region’s biggest events, the 2016 Boyle Rodeo has a lot to offer. 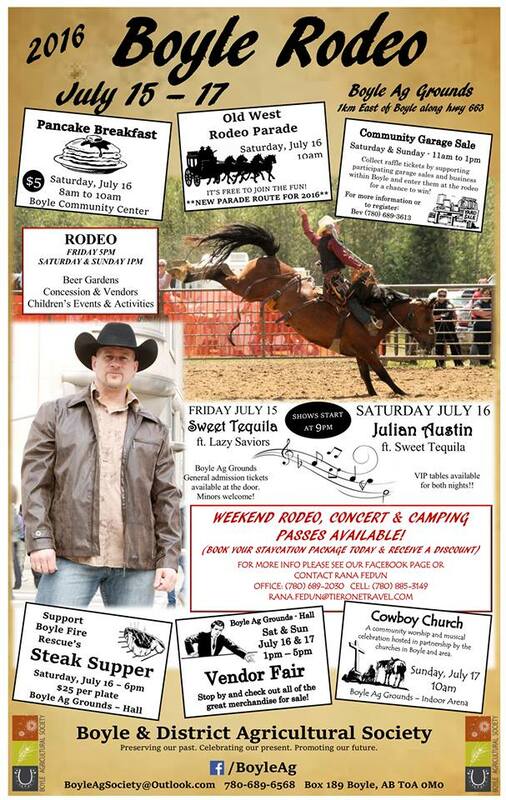 A pancake breakfast, Old West Rodeo Parade, a Community Garage Sale, a Steak Supper, beer gardens, children’s events and activities, a Vendor Fair, a Cowboy Church Service and of course great rodeo action. Organized by the Boyle & District Agricultural Society, this event takes place Friday, July 5 to Sunday, July 7. Tickets are available at the gate. Boyle Ag Grounds, 1km east of Boyle along Hwy. 663.